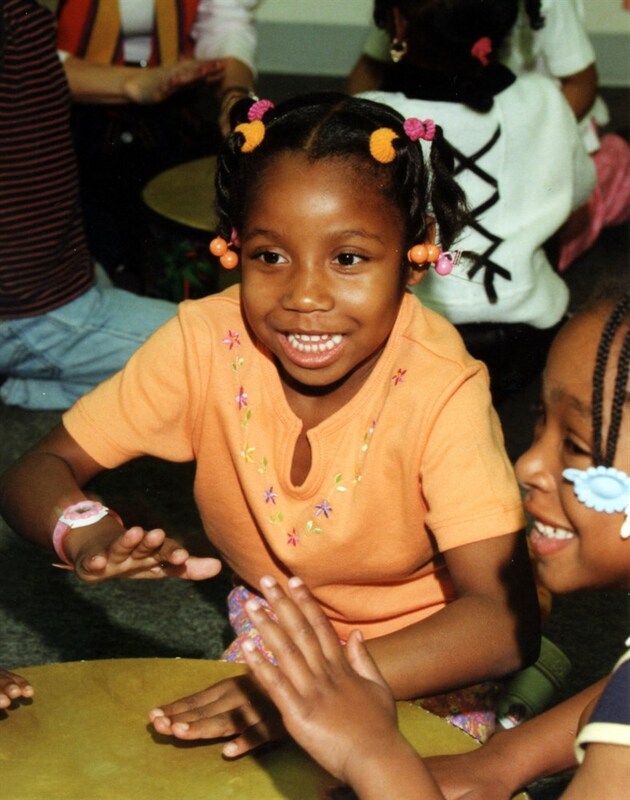 Every child loves rhythm and music. During the early years, it is extremely important that parents and caregivers be the ones who create a rich, nurturing environment. 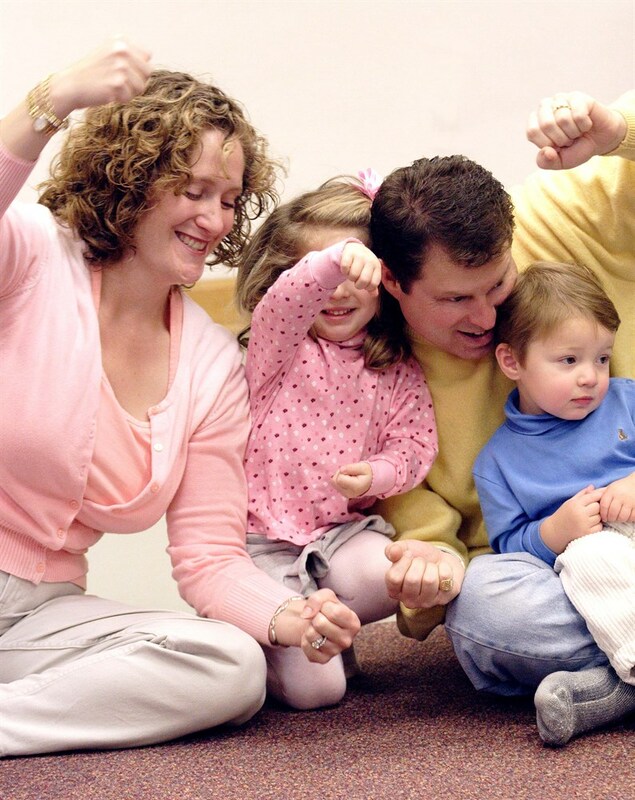 Children are biologically wired to respond most to those with whom they have close bonds. 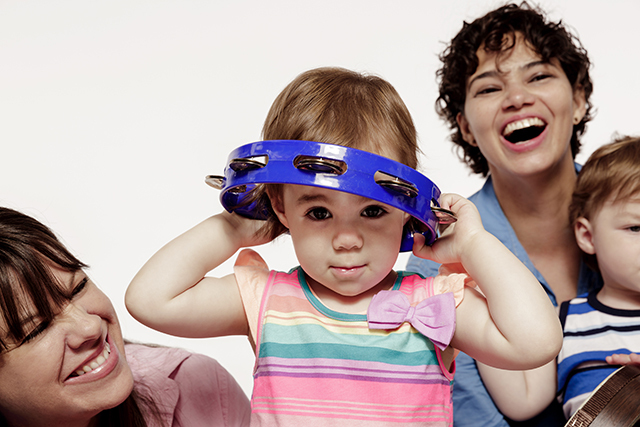 Music Together® and Canta y Baila Conmigo® help you build that bond. 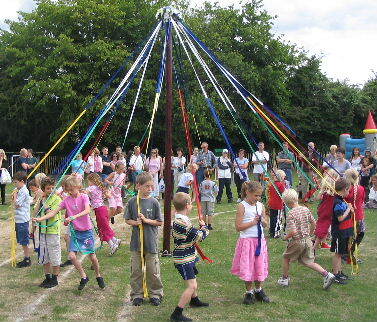 Best of all, it's fun! "Julia, Thank you, thank you, thank you for your performance on Saturday at our Literacy Fair. I appreciate you donating your time and energy to the children of our community and helping to make our literacy fair such a success. Your handout is terrific. I hope we can have you again next year. Thanks again, Beverly"
Julia at the Life is Good festival in Canton, 2010 or so. Hundreds of kids came through our tent to try trumpets, trombones, clarinets, dulcimers, autoharps, and other real instruments, as well as playing along on percussion. 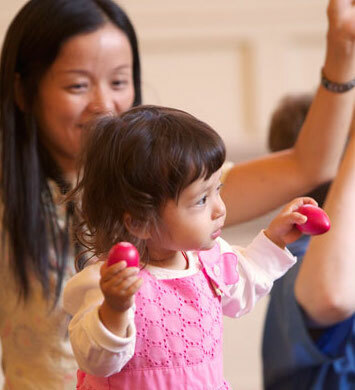 The instrument playalong is a highlight of class - for grownups and children alike. "What a pretty sound! And I made it myself." 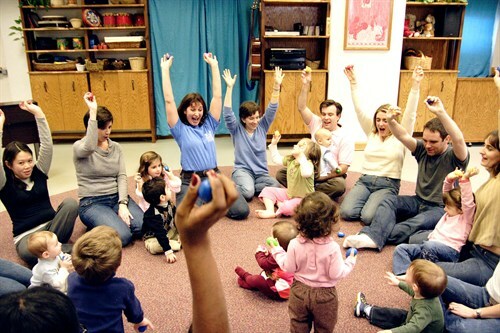 Parents don't need to have music skills—they just need a desire to play and have fun with their children! 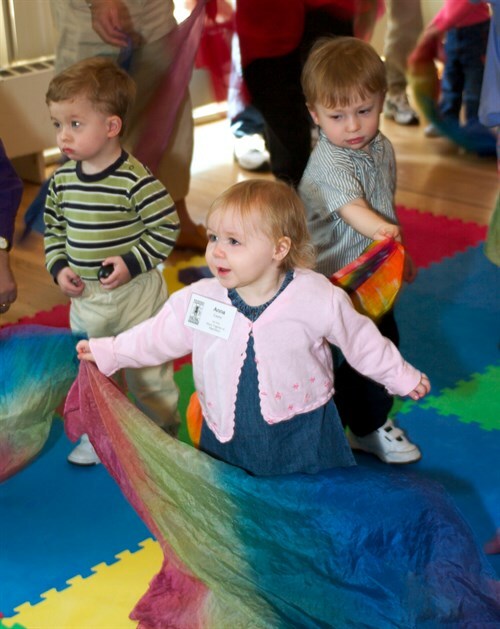 Our teachers are specially trained to create a safe atmosphere so you can happily join in, experiment, or even get silly—and feel closer to your child while doing so. "In Daddy's arms I am tall." 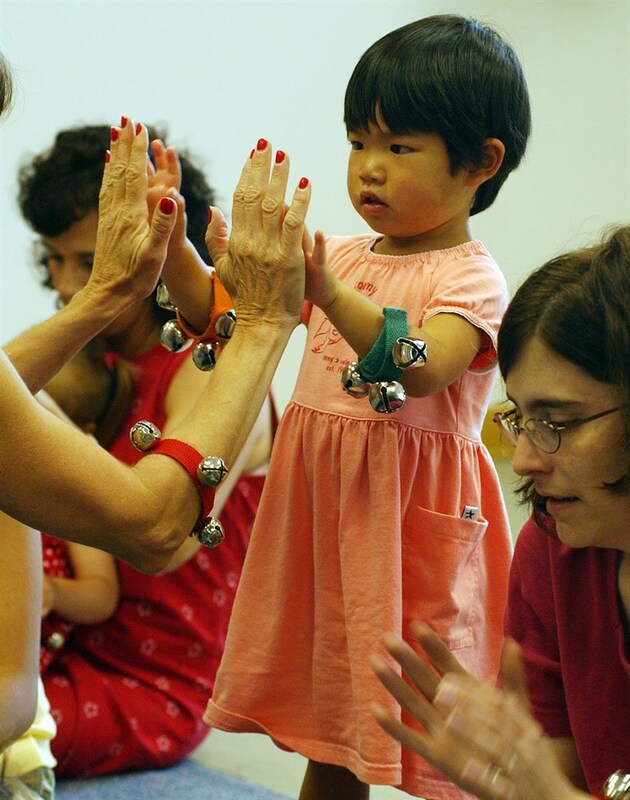 Building bonds and social skills through music and dance. 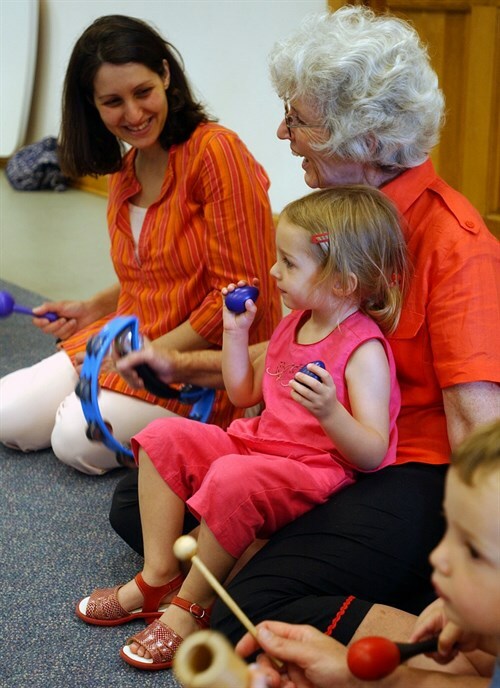 Music is something that people enjoy at any age. Music is the first communication we understand even before we are born. Music is the last thing to leave us, even in advanced age. Want your child to be a good listener? Of course! Music Learning Supports All Learning®. "I can make this colorful silk float. I can make it move through the air fast or slow. 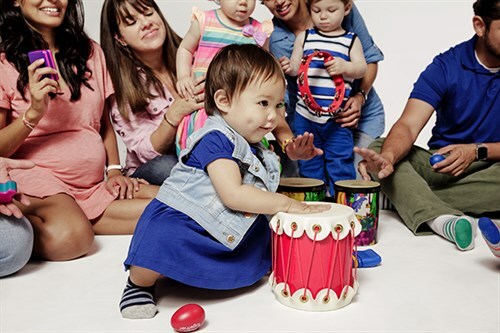 You're never too young to begin receiving the benefits of music class, such as enhanced immune function. “I … can … reach …. got it!” Music encourages us to move. "I feel the rhythm from my mom. Across the circle, I see somebody else's dad moving to the beat." challenges big kids to take their learning to the next level. "Vrrrrm, vrrrm, we're driving in the car!" Taking our imaginations out for a spin. Families from around the world join our Newton classes. 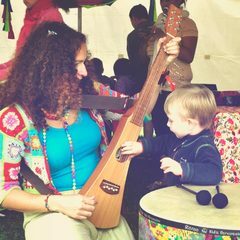 Through music, we connect to families all over the planet. 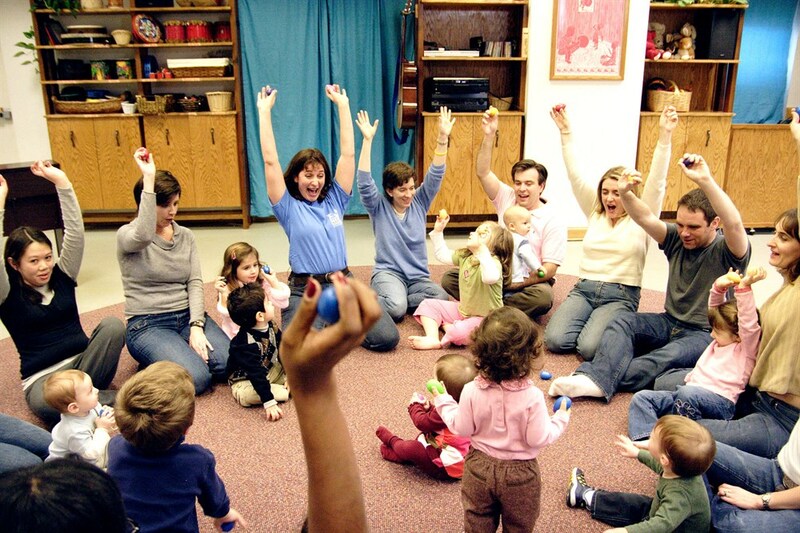 Music is a carrier of culture, teaching us about our own culture and that of others. Stretch! We're learning to stretch and stretching to learn. This is us. . . your teachers! We get together as a group every September, no matter how crazy our work and family schedules are, to eat bagels, plan the year, and enjoy some music.